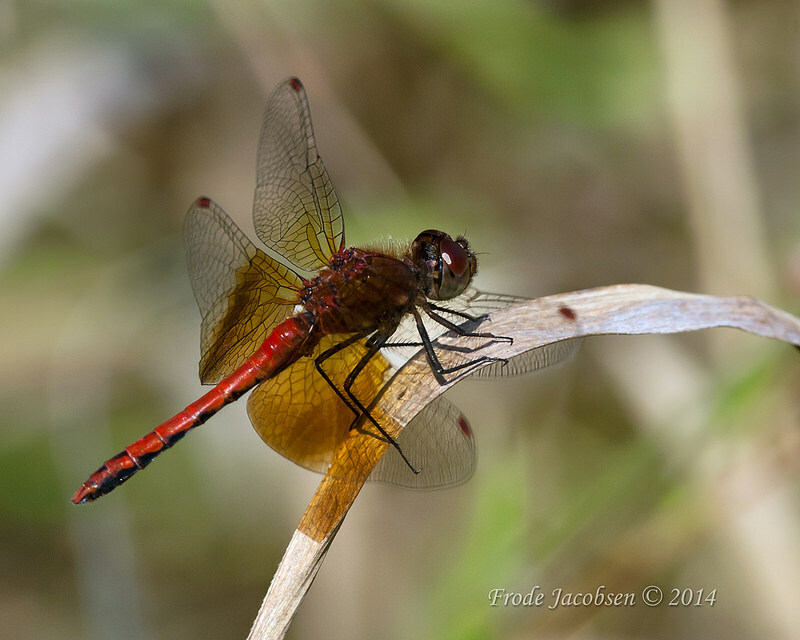 Band-winged Meadowhawk (Sympetrum semicinctum) is a distinctively-marked species, with conspicuous translucent amber wing patches basally. 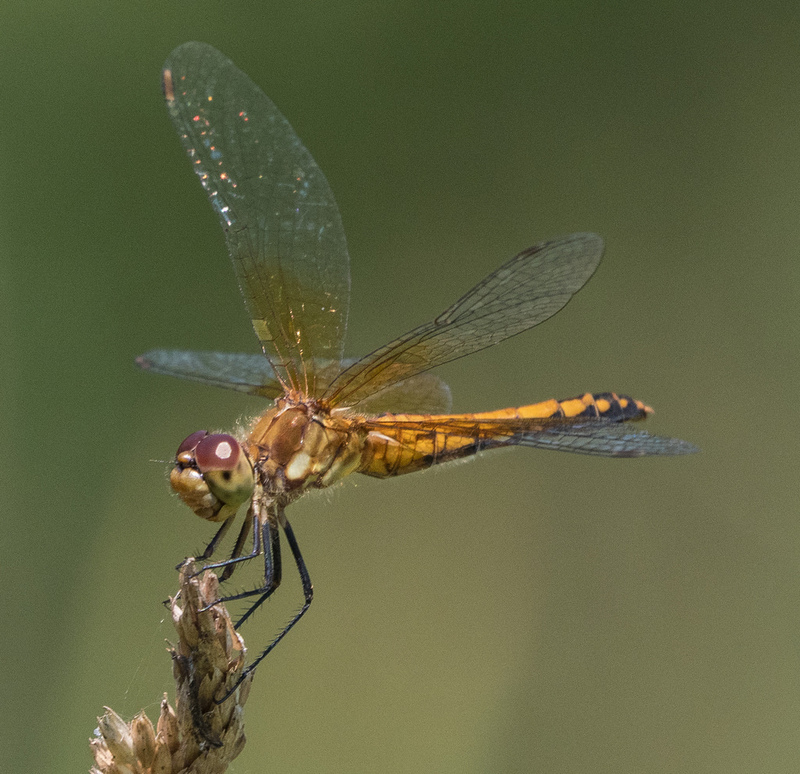 This libellulid is widespread across much of north America, and usually occurs in marshes or ponds (Paulson, 2011). 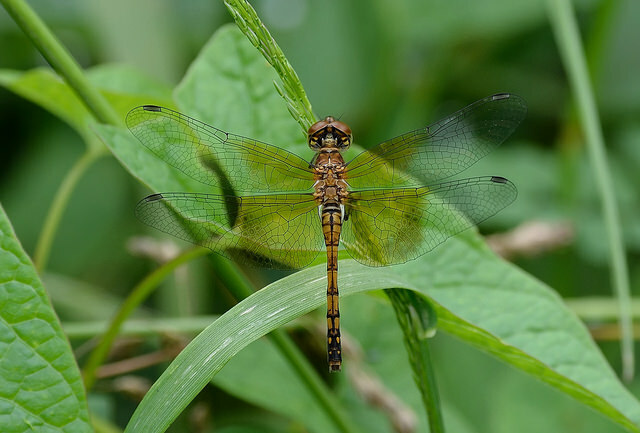 There are records from northern and central The Dragonflies and Damselflies of Maryland and the District of Columbia). 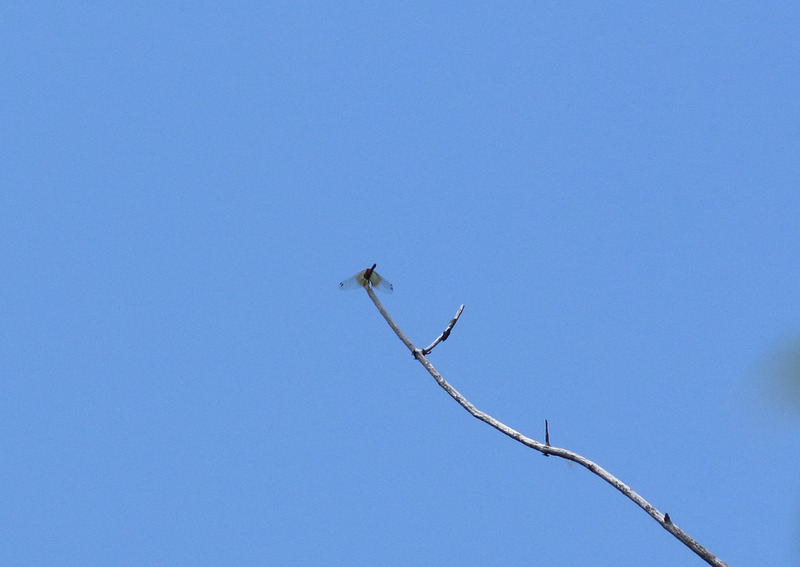 This species is considered S3 (watch list) in Maryland.